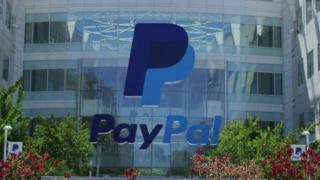 PayPal is changing its terms and conditions to state users must accept automated marketing calls, emails and text messages. The changes - which come into force in July - will only apply to its US customers. The eBay-owned company told the BBC that it "would honour any customers' requests to decline marketing outreach". But no such opt-out is included in the terms and conditions. Instead customers are invited to either accept or decline. The updated PayPal user agreement states: "You consent to receive autodialed or pre-recorded calls and text messages from PayPal at any telephone number that you have provided us or that we have otherwise obtained." It goes on to say that it "may share your phone numbers with our affiliates," who the user must also agree to receiving so-called robocalls from. The calls could be on a range of topics, including notifications about their account, troubleshooting and resolving disputes. But they must also agree to calls that could "poll our opinions through surveys or questionnaires" and "offers and promotions". The US's Federal Communications Commission is working to crack down on robocalls and spam email. It plans to legalise technology that blocks such calls and wants telephone companies to offer the tools to their customers. "People won't have to fill out a form and mail it in to stop unwanted calls and texts. Any reasonable way of saying "no" is allowed," wrote FCC chairman Tom Wheeler last month. There have been 215,000 complaints to the FCC about the issue.